Could a cat have become baby Jesus’s pet? 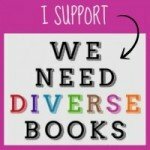 Find out in this engaging picture book perfect for Christmas. 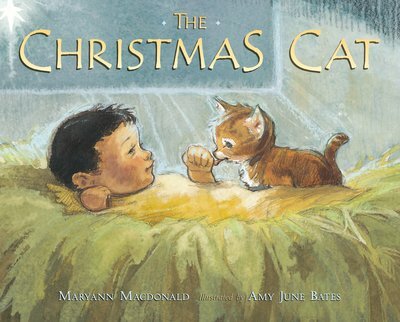 The Christmas Cat by Maryann MacDonald with illustrations by Amy June Bates, Dial Books for Young Readers, 2013. You don’t have to celebrate Christmas to find something special about The Christmas Cat (Dial Books for Young Readers, $16.99, Ages 3-5) by Maryann MacDonald with illustrations by Amy June Bates. All that’s required to be swept back in time to the nativity is to love cats, crave an imaginative tale and desire dreamy artwork. “Inspired by Leonardo da Vinci’s drawings of La Madonna del Gatto, which show Mary cuddling both the baby Jesus and a cat,” MacDonald has crafted a story that will captivate the hearts of little ones while introducing them to the nativity and the power of love bonding a baby to his pet. On the night that Jesus was born he cried like every baby does. All the animals in the stable tried to quiet the infant, from cooing doves to lowing cows. Even the donkey brayed a lullaby to no avail. Joseph and Mary fretted, wondering how to settle the child. But it wasn’t until a tiny kitten made his way onto Mary’s lap and nuzzled baby Jesus’s neck and let out a “calm, contented purr” that the newborn’s crying began to wane. As time passed the two grew close and the kitten became a cat, always at Jesus’s side to help him fall asleep. Could the legend of a kitty being born on the same night as Jesus possibly be true? You decide. I know Bates’s beautiful illustrations will stay with me long after Christmas ends and it will be hard to see a nativity scene and not search for a little kitty in a corner somewhere.